Apple’s much-awaited Mac OS X Lion is finally available for download from the Mac App Store. The Lion, version 10.7, is the successor to the Snow Leopard, and brings in a lot of new features, which were previewed by Apple at WWDC this year. Some of the new features include a tweaked UI, Mission control, Launchpad, AirDrop and Versions. We had done a detailed preview of the OS X Lion. Be sure to check that out here. Before you upgrade to the OS X Lion, be sure to upgrade the Snow Leopard to version 10.6.6. 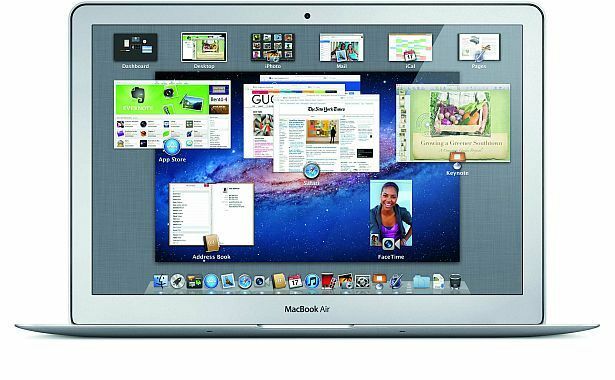 Lion can be downloaded from the Apple App Store for US$ 29.99, and will run on MacBooks with Intel Core 2 Duo (and beyond) processors with a minimum of 2GB of RAM. The Lion Server is also available on the Mac App Store for a price of US$ 49.99, but will be available only after you have installed Lion first. How to install Mac OS X in my laptop using VMware?? is there any Android OS available for laptop ? what is X-reality for mobile? is there any wireless charger available for smartphones?